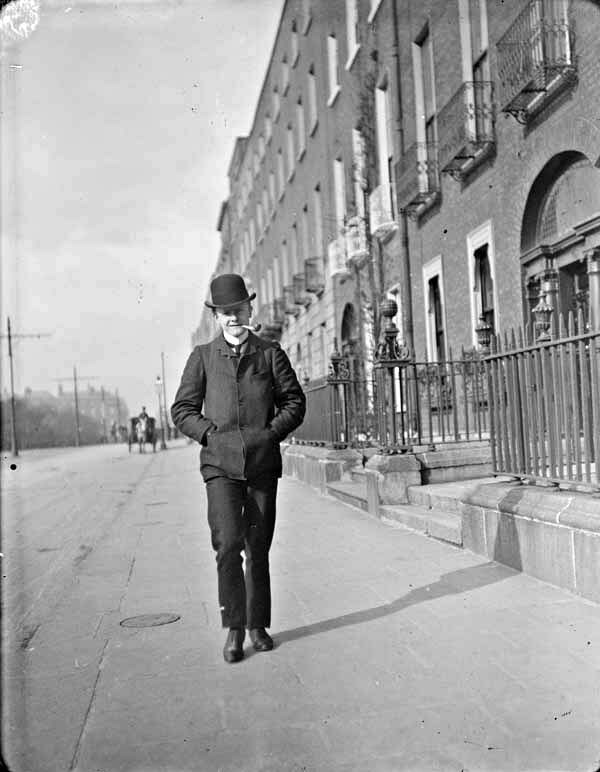 These amazing images show Dubliners in their city between 1897 and 1904. 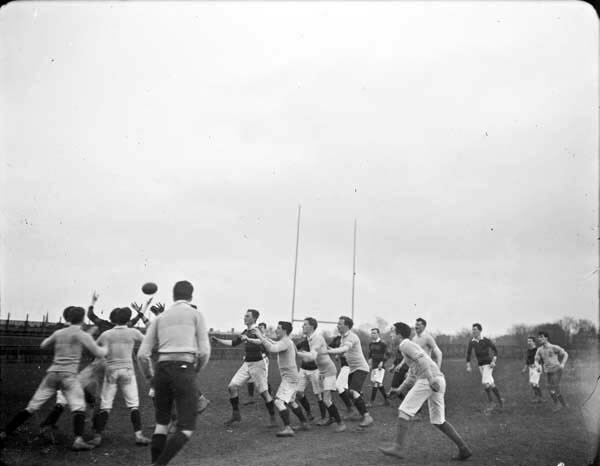 The photographs were taken by medical student JJ Clarke. Most of these pictures show that while clothes have changed, life in general hasn’t! The National Library of Ireland now has an amazing digital gallery which you can browse through over a cup of whatever you darn well fancy. For more fascinating pictures, see here. But in the meantime, enjoy these pictures we thought were worth gawping at. Doctor with Gladstone bag. Full-length, front-facing portrait of doctor, standing in doorway, holding bag in left hand and umbrella in right hand. Woman walking past stationery shop, O’Connell Street. View of shop fronts, including No. 35 Catal Broin (Charles Byrne), stationer and newsagent, and No. 36, John Averill, confectioner. 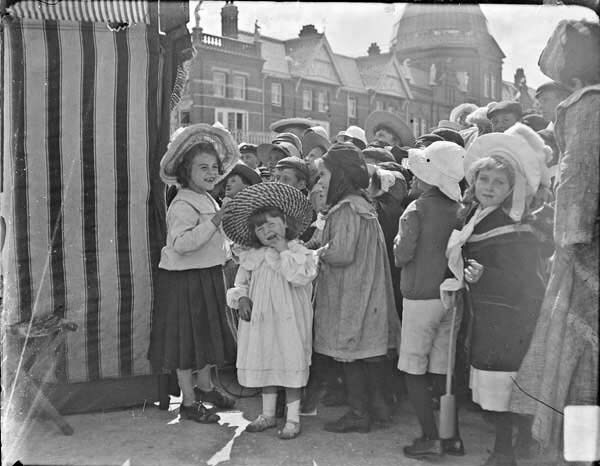 Woman, wearing hat, walking in foreground and group of children playing in background. Nurse on Merrion Square. Full-length, front-facing portrait of woman, standing on pavement, holding parcel in left hand. Woman entering the National Library of Ireland, Kildare Street. Scene near the gate of the National Library. Woman, wearing hat and carrying umbrella, walking towards the camera. Man wearing hat in background. Women and men walking outside St. Vincent’s Hospital, 55-59 St. Stephen’s Green. 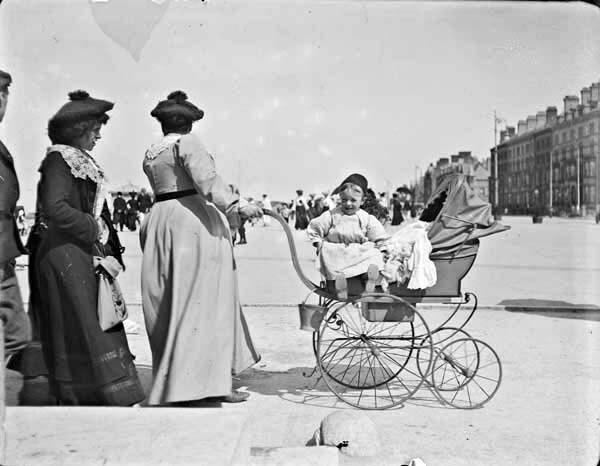 Two women wearing hats, two men walking behind them, other woman walking with her back to the camera in foreground, partial view of carriage to the left. Men walking outside cigar shop on Grafton Street. Two men in foreground, walking past No. 67 Grafton Street, R. G. Lewers, ladies outfiting and baby linen warehouse, and No. 66, Tobacconists. Two women walking past jewellers, Grafton Street. Full-length view of two women, both wearing hats, one wearing fur collar, walking outside Nos. 94 & 95 Grafton St., Edmond Johnson Limited Jewellers. Two women, one wearing necktie, walking on Grafton Street. Two women are both wearing hats, woman on the left is holding a muff in her right hand, women on the right is wearing a tie. Bystanders and shop-fronts visible in the background. Profiles of two women and one man walking along Bray seafront. Gentleman in horse-drawn carriage on St. Stephen’s Green. Two men in car on St. Stephen’s Green. Panhard car turning off St. Stephen’s Green onto Kildare Street. 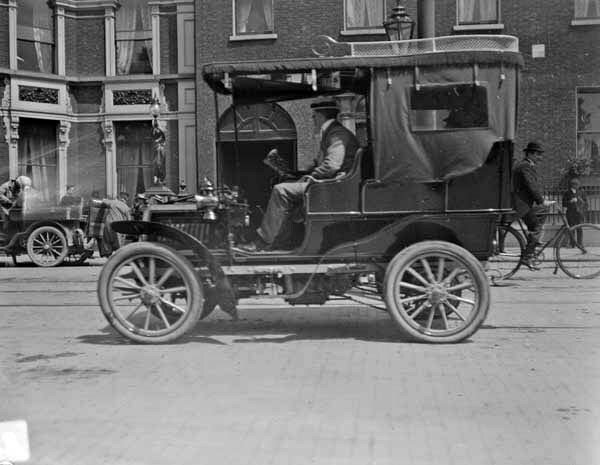 Man driving Panhard car, possibly a late 1901 or 1902 model, with three female passengers. Hooded car outside the Shelbourne Hotel, St. Stephen’s Green. Car is possibly a 12 hp Panhard and it is fitted with a Brougham body with an extended top. 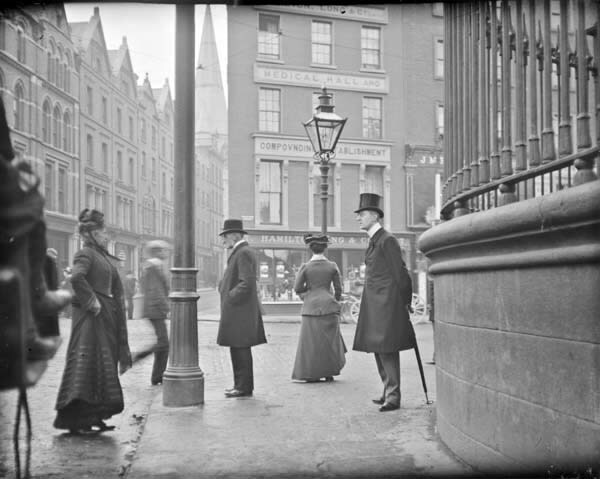 Man with umbrella standing at the junction of Nassau Street, Grafton Street and Suffolk Street. View from Nassau Street at the corner of Trinity College. Hamilton, Long and Co., Apothecaries, No. 107 Grafton Street in background. 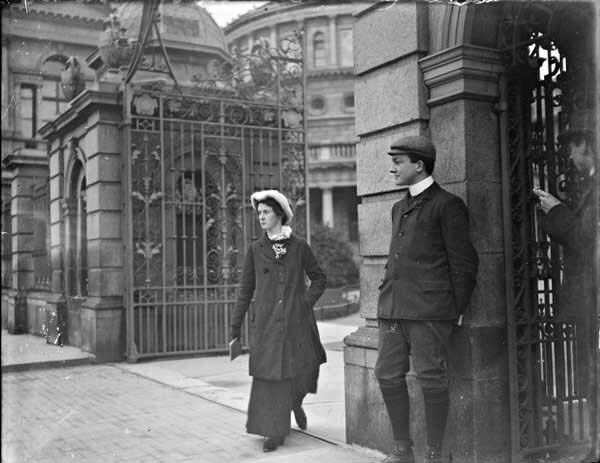 Woman wearing orthopaedic shoe, walking through the gates of Leinster House, Kildare Street. Man standing to the left of the woman, National Library of Ireland in the background. Young man walking and smoking pipe on Merrion Square. Funeral procession passing through Berkeley Street. 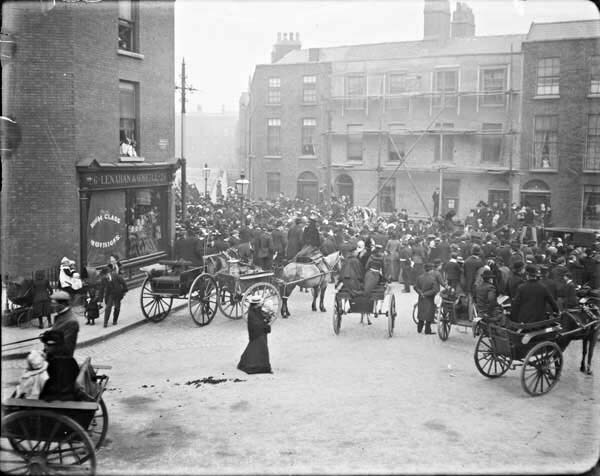 View from Blessington Street of a crowd of mourners gathered around a horse-drawn funeral procession, as it passes through Berkeley Street. View of Lenehan & O’Neill Groceries Store at No. 26 Blessington Street/No. 19 Berkeley Street. Horse-drawn bathing box. 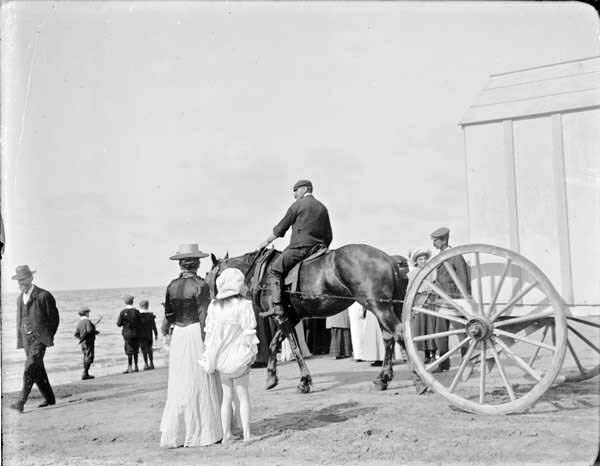 Horse-drawn bathing box being brought towards the sea, possibly at Bray. Men, women and children observing. 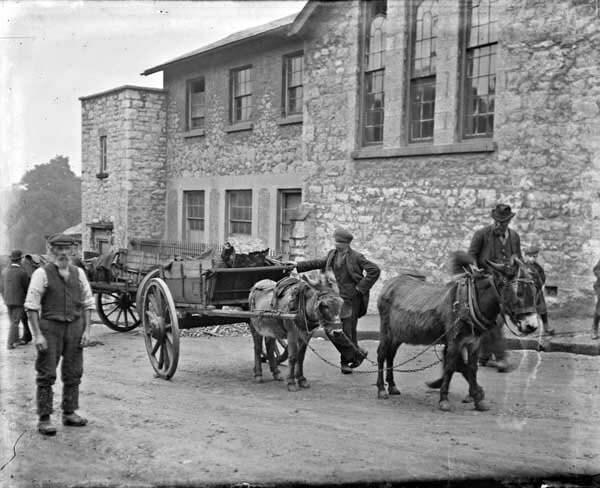 Donkey-drawn carts stopped in the middle of the street, with bystanders. 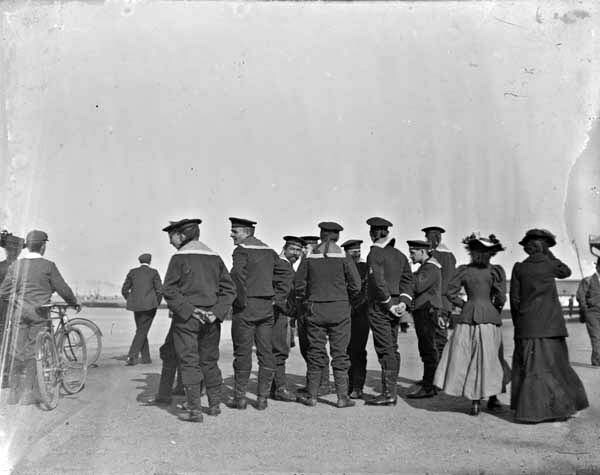 Sailors standing near the seafront in Kingstown, now called Dún Laoghaire. 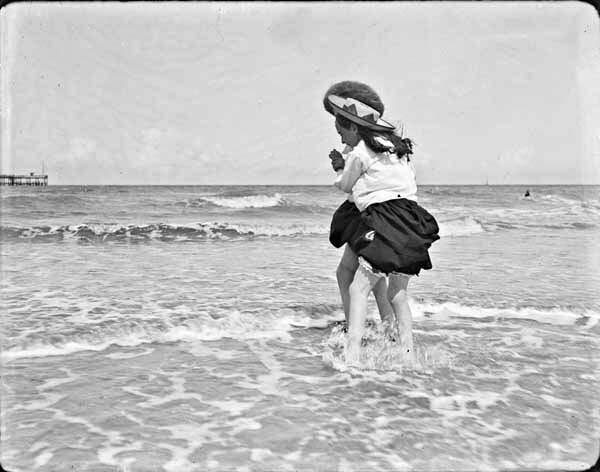 Two girls playing in shallow water at the seaside with backs to the camera. 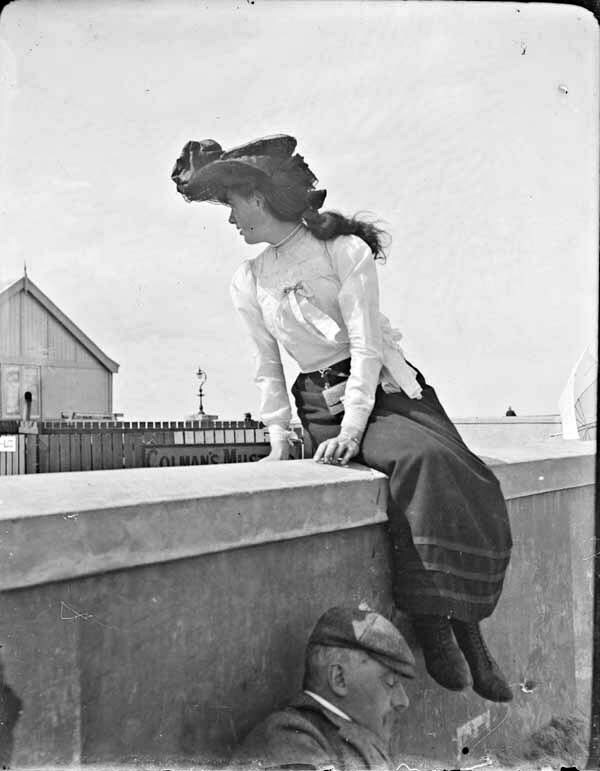 Woman sitting on a wall. 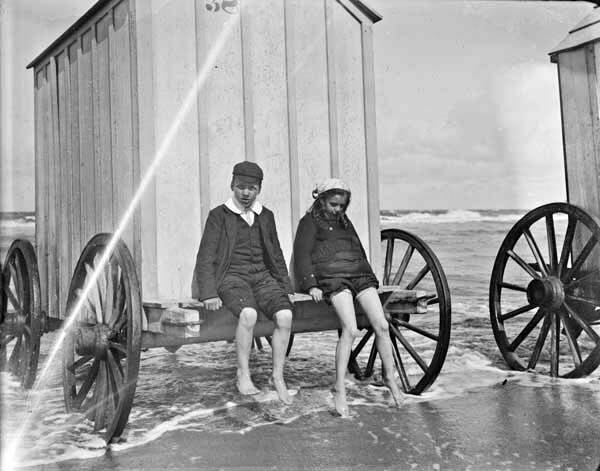 Young girl and boy sitting on a bathing box, in shallow water. Group of children watching a “”Punch and Judy”” show. Two women and one man walking with perambulator and infant. Probably at a seaside resort.